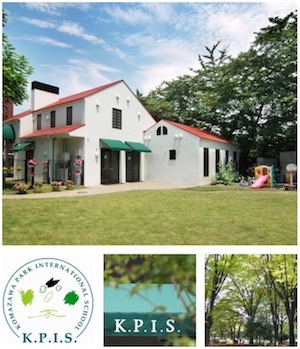 Komazawa Park International School’s unique philosophy of “Free Learning through Free Play” helps carry out the mission of the school: to create an environment that develops and encourages confidence, creative thinking, independence, intellectural risk-taking, resourcefulness, and social and emotional adaptability. KPIS tries its best to nurture these important qualities since the school believes they form the foundation of lifelong achievement and happiness. bus from Ebisu, Jiyugaoka, Shibuya, Todoroki Sta.